Installed the first of two purchased and it has worked fine right from the start. Very satisfied with this cartridge. I received the cartridges in two business days. Worked perfectly. Never any problem using monoprice for all my needs. PROS: Fast delivery, worked perfectly, inexpensive. PROS: Great value - fast shipping. 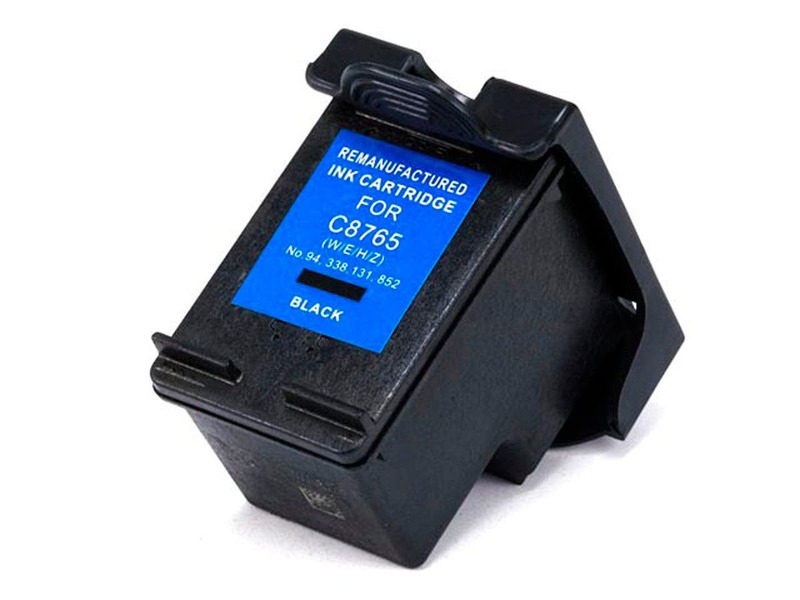 MPI remanufactured HP 94 (C8765WN) Inkjet-Black. Worked out of the box. No problems so far. Too bad the HP 95 tri-color companion didn't work. CONS: The companion tri-color cartridge isn't recognized by the printer. 1. Characterized by undeserved bad luck unlucky. 3. Regrettable deplorable: an unfortunate lack of good manners. A victim of bad luck. These adjectives mean marked by, affected by, or promising bad fortune: an unfortunate turn of events a hapless victim an ill-fated business venture an ill-starred romance a luckless suitor an unlucky accident. Unfortunately it did not have a very long life. Was dry in a couple of weeks after installed and was used very little. I keep buying remanufactured ink cartridges from Monoprice thinking that I would get one that works. None of them work. Don't waste your money. I don't see how they can get by with selling a product that does not work. Had a problem with one of the black cartridges. called monoprice and no hassle sent me a new one.....great service! !